The Gold standard. Work worth seeing. There is much talk in educational, local political and musical circles about youth and classical music today and where it is going. I have a slightly different take to those who wish instrument teaching to be free for all, who I think miss the point. Musical appreciation for all certainly at the infant and possibly early primary stages, but nothing is more likely to put someone off its joys than to learn something because they have to rather than because they want to. Instrumental technique requires commitment, dedication and practice. Money that is freely spent on other leisure pursuits can usually be redirected if wanted. Serious youth music is channelled by the National Youth Orchestras of Scotland, which is not so much an orchestra as a movement, comprising three orchestras and two jazz combos, with illustrious patrons such Sir James MacMillan and Nicola Benedetti. It is greatly to the RSNO’s credit that they devote such commitment to youth music, the more so because they integrated the orchestra’s 40th season into their own along with the creation of a new partnership. The young people had the privilege on the night of being under the baton of the RSNO’s Principal Guest Conductor, Elim Chan, and of accompanying the uber talented Steven Osborne in Rach3. As the players came on stage and warmed up full of brio I knew we were going to be in for a fun evening, even if fuelled on enthusiasm alone. I was dismayed that the house was only half to three quarters full, but of course every conceivable parent, grandparent and sibling was there. Often youth orchestras are capable of the very highest standard of delivery. We would see. Accompanying a soloist requires a different type of playing than when it is an entirely orchestral piece, the dynamics are more accentuated, you have to play quieter than you would wish a lot of the time. The NYOS clearly understood this under the accessible and supportive conducting of Elim Chan, but perhaps they hadn’t reckoned with the bravura playing of Steven Osborne in Rachmaninov’s Piano Concerto No 3 In D minor, Op. 30. To my utter astonishment, notwithstanding what I have said about Chan’s supportive style, she took the work really fast. 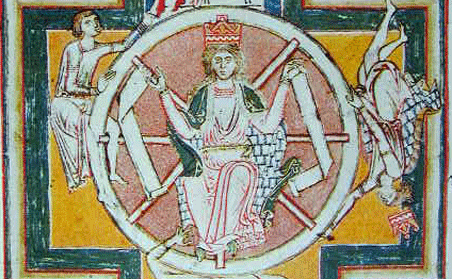 The tempo for the first movement is Allegro ma non tanto. Clearly Chan forgot or chose to ignore the non tanto. Boy!, it was fast, and Osborn played both fast and loud. Very loud, it was an absolute virtuoso performance, but this meant the orchestra/soloist balance was often wrong with the orchestra playing too quietly apart from some confident solo instrumental passages. As everybody settled in after the mammoth first movement the strings came into their own in the Intermezzo: Adagio with some exceptional pizzicato from the double basses (one of their proud parents was right in front of me and gladly pointed him out). In the final movement Alla breve everyone had a good time as they brought this monumental, demanding work to a glorious conclusion. Osborne rose from the piano stool, modestly took no bow alone and immediately referenced the orchestra. He then treated us to something “quieter and slower”, one of Rachmaninov’s glorious preludes. It transpired, after the interval, that this would be a “concert of two halves”, my slight reservations about some of the playing in Part One swept aside as the band was given their head in a full on performing, rather than accompanying role. First up was Andrea Tarrodi’s (b. 1981) short orchestral piece Liguria, inspired by the composer’s 2011 visit to six of its small villages. Dramatic from start to finish it showed off the orchestra’s credentials, enjoyable to listen to in the modern idiom, if somewhat derivative. The waves depicting Onde reminded me of Debussy’s La Mer. The final work in the programme was Ravel’s orchestration of Mussorgsky’s Pictures at an Exhibition. This is a work guaranteed to bring the house down, and what impressed me was the joy, yet discipline and sheer musical accomplishment that the young orchestra brought to it. Not a hint of vulgarity, clear, taut delivery, and the full gamut of strings, wind, brass (including two bass tubas), percussion (including tubular bells and two harps) giving us the full big orchestra experience. I slept on this before finally convincing myself of the veracity of the happy note that I wrote before leaving the auditorium: “I have never heard Pictures played so well. Ever. By anyone.” Well done NYOS, you are a testimony for youth music. My mother spoke little of her life before her children were born, but it was clearly an interesting one. The youngest of six children of a Northamptonshire shoe manufacturer and general bigwig, the first of her family to go to Oxford (and a woman to boot) and a wartime spent at Bletchley Park. But what I remember most clearly, as we were both musical (at Oxford she sang in Ted Heath’s Bach Choir), was her telling me of her experience kissing an oboist whom she went out with for a while at University. She told of his incredible muscular lips (by virtue of the necessary embouchure of blowing two reeds together) which made the embrace distinctly unusual. As a result oboists – and the oboe (I love its clear, piercing tone, as did she) – have held a particular fascination for me, although I have never kissed one, reserving my affections quite by chance for the string section. Consequently the SCO’s appointment of premier oboist Francois Leleux as an artist in residence for the 2018/19 season was a must-see. I could not get to the first two gigs but enjoyed Thursday’s “Three Serenades” Concert enormously. Generally, I have reservations about soloists who migrate into conductoring, even of the musical standard of Ashkenazy and Rostropovich, as it is a bit like film stars wanting to be directors: they rarely cut the mustard. However, it has to be said that Leleux, either with baton or more restrained with instrument in mouth, has an engaging conducting style relating to, rather than directing, the orchestra. Our first work was Hugo Wolf’s Italian Serenade, played in a splendidly happy rendition that clearly showed a bond between conductor and orchestra. Good tempi, very together for so early on in the evening, a surprisingly enjoyable piece from this manic depressive composer written before the dark times took over his life. Next up was Dvorak’s Serenade in D minor, Op.44. A wind ensemble of ten, including contrabassoon, accompanied by cello and bowed double bass, all standing save the latter two; this time with Leleux taking the oboe lead as well as directing. Leleux’s tone was clear, fresh without being over bright, at times soaring over the rest of the ensemble. In the third movement Andante con moto he engaged in charming interplay with the clarinettist opposite. It was good to get our fix of the great man. After the interval we heard by far the most substantive work of the evening, Brahms’s Serenade No 1 in D major, Op.11 with the full 40 strong orchestra on stage, quite an upgrade from its original conception as a nonet. Albeit written earlier on in his career alongside the Piano Concerto No.1 this is a mature work with a great deal more roundedness and depth than the rustic Bohemian fare we received earlier. In six varied movements ranging from close harmonies in the brass to full on orchestral romance, pretty little wind passages accompanied by the put-put of the bassoon and a mad rush to the finish, one was reminded of the near chaotic finish to the Academic Festival Overture. Perhaps my only regret of the Leleux season was that he played only one concerto throughout, the Haydn. One would have wished for the Mozart with its glorious third movement Rondo. Never mind, it is always best to be left wanting more. Katrina Bryan as Stella, with that telephone box at her elbow. This is one to admire, less with wonder perhaps than with unbounded appreciation: a musical with perspective and high-flying credits to match. With its ‘Book’ by pre-eminent film maker Bill Forsyth and David Greig, new music and lyrics by Mark Knopfler, and directed by John Crowley, this Local Hero is pitched at anyone who has seen Forsyth’s film, which after 36 years is a lot of delighted people, and at anyone who would put the planet above getting filthy rich. By now, of course, Local Hero is circling above and beyond Scotland. Al Gore, American vice-president and author of An Inconvenient Truth, reckoned on Oprah that it was up there as his favourite film. This is generational stuff that could be set on an interstellar trajectory. Next point of passage, London’s Old Vic. Once upon a time it was boom time for the black, black, oil and Knox Oil and Gas of Houston, Texas, is looking to build a refinery in Ferness on the north west coast. Young exec. ‘Mac’ MacIntyre – of Hungarian descent naturally – flies in to make the deal, effectively to buy out the village, lock, stock and lobster pot. Down on the beach, old Ben holds out for more. By sly congruence, he’s called Knox too. Ben is one laid-back negotiator who would tell you how many grains of sand that he can hold in one hand but what really counts are his astronomical records, sightings of events that go back a hundred plus years. There’s no limit, it appears, to an oil bonanza until you factor in the beauty of the Northern Lights and celestial messengers. And then, down on earth and in the MacAskill Arms there’s kindred folk and community, the love of a hard but beautiful land. By rock and water and that iconic telephone box it could be wistful and charming and a homage to a great soundtrack. However, today we have Spotify Connect, of control and play, and whilst this production is very easy to listen to, with a proper fusion score where Dire Straits meets ceilidh, yearning and lament, it’s the neat switch to solid musical theatre that is most impressive. 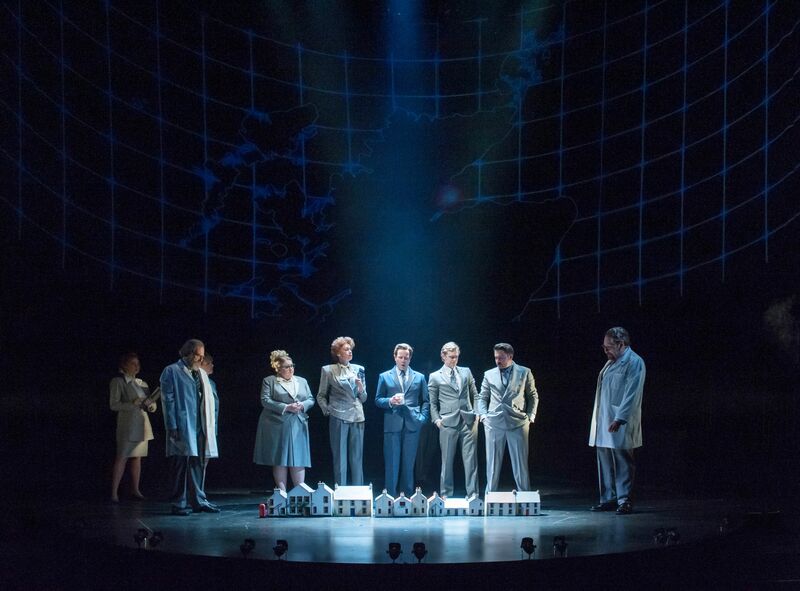 It may be a long haul: ten numbers in each half, no duds, with the whole show lasting 2 hours and 25 minutes – but it is expert and smooth, with standout lighting and atmospheric projection where the sky’s the limit, literally. Ferness is a tiny line of houses arranged along a curve of the harbour wall. 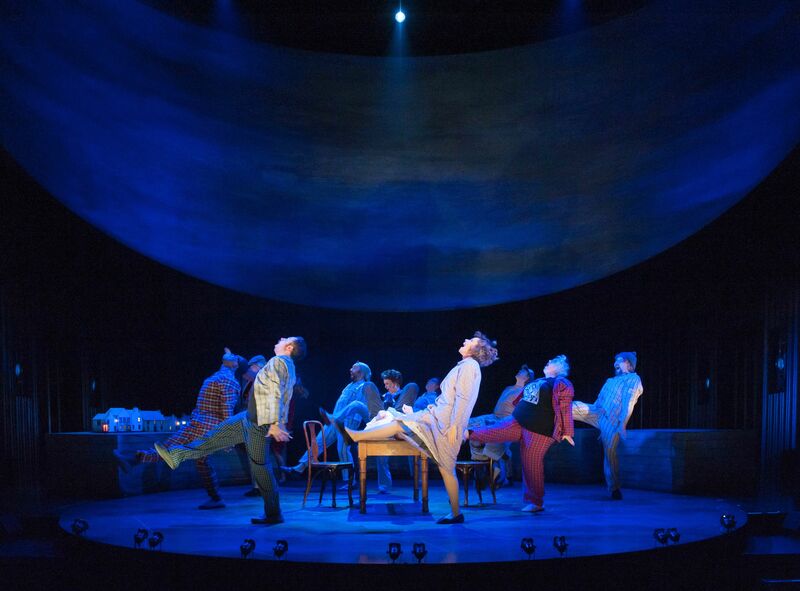 The 15 strong cast has a wide dance floor to work with and the band is nearly always backstage, invisible (regrettably) within an outsize grey ‘hillside’. Character is in plain sight. Mac (Damian Humbley) may have an option on a new Porsche but he is always going to fall in love with Furness and an ardent blow-in from Glasgow. She, Stella (Katrina Bryan), is the principled romantic whilst flexible Gordon (Matthew Pidgeon) could launch himself onto the 54th floor of any oil company. Viktor (Adam Pearce), the burly Russian trawler skipper with share portfolio, is vigorous and fun. 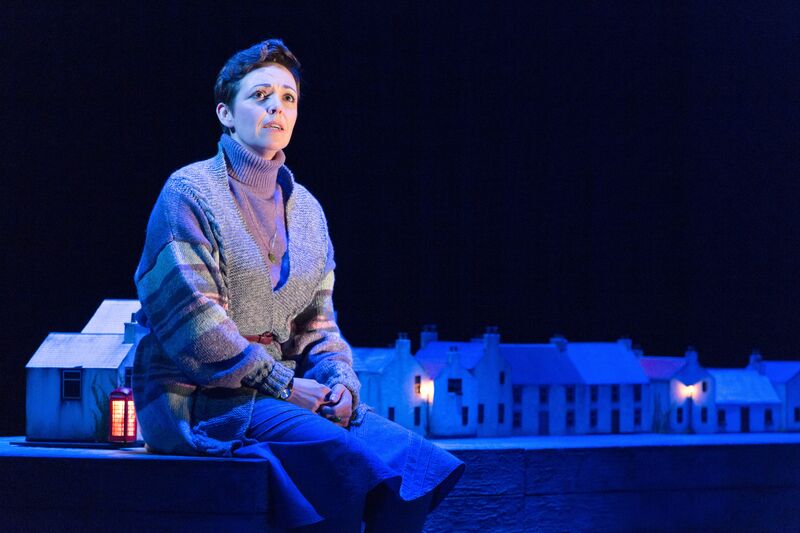 Ben (Julian Forsyth) is especially heroic as he’s wrapped in a tartan rug in his armchair and withstands his removal to a retirement home by the village lovelies. The company sings ‘That’d Do Me’ in anticipation of the good folk hitting pay dirt. The prospect of being served langoustine rather than packing them is rather fine. And then, with Mac and Stella and Ben, you’re gently steered onto a kinder, Greener, more responsible course. That was always the tricky bit of make-believe, now advanced by nostalgia. Still, the fond passion and dollars of Knox Oil president Felix Happer give Ben a backstop and Furness is saved, again, which has to be counted a blessing. When that telephone rings is it Mac calling or Heaven? 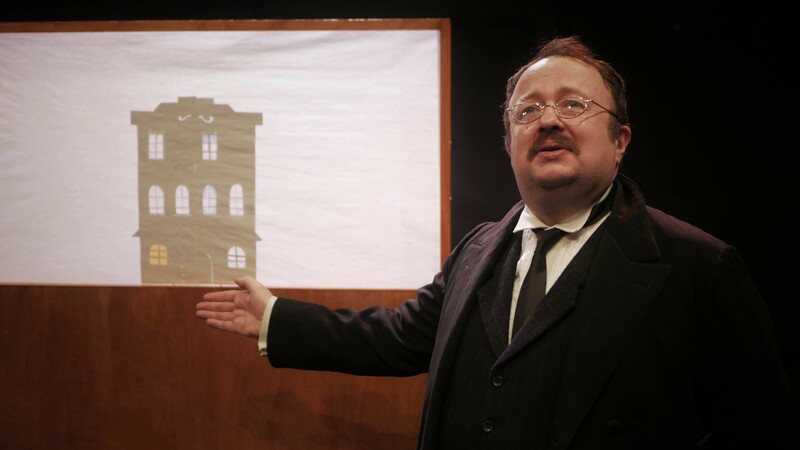 Go to Edinburgh49 at its Lyceum archive. Thursday’s Scottish Chamber Orchestra’s gig played to a larger and more diverse audience than at their normal Queen’s Hall venue, and the audience showed their appreciation with a near full house, enthusiastic applause, restraint with seasonal agues such as coughing (your beleaguered writer included!) and respectful post performance silences following the conductor’s upraised baton at the end of the quieter pieces. It was a joy to be among the cognoscenti. The programme was a contrast of early and late Romantic works, with composition dates ranging from 1787 to 1924. Curiously, three of the works comprised several years in their gestation, and the remaining Coriolan Overture was written for no apparent purpose at all other than composition for the sake of it (not that there is anything wrong with that, but it is more of a 20th rather than 19th century idea, in a past age of mostly commissioned music). Beethoven spent 11 years finalising his Concerto No 2 in B flat, Op 19 (which was in fact his first concerto), and Sibelius the best part of a decade on his last two symphonies. That is, I have calculated, about 3 minutes music per year in the case of the latter, one minute in the case of the Beethoven. I guess that they had one or two other things to attend to as well? Even George R R Martin is doing better than that with the concluding ‘Game of Thrones’ book. Was the deliberation in terms of timescale worth it? In the case of the Beethoven I would say yes, for Sibelius, I would be less sure. Conductor Joseph Swensen bounded on to the podium to start off the proceedings with Beethoven’s Coriolan Overture, Op 62. An amiable great big bear of a man, heavily bearded, of mixed Japanese and Norwegian heritage, he kicked off the playing without ado and drove us through ten minutes of classical gothic music without reference to a score. The orchestra responded well to his enthusiastic conducting (no baton) and we experienced a fluent, well played opener that lifted our spirits. Next up the wonderfully adept Paul Lewis took us through the Beethoven Piano Concerto no 2. Only last week Can Cakmur gave us a spellbinding interpretation of the third with the RSNO in the very same hall. The second was a completely different work, of almost a different world, mature Mozart rather than Beethoven at the height of his powers, eleven years separating their composition. To compare them would be comparing chalk with cheese. Lewis played with consummate ease and brought everything out of the work that he should have. After the long, tautly played orchestral opening Lewis entered with bright, clear tone, good intonation and phrasing. The well known third movement Rondo: Molto Allegro was a delightful, reassuring romp. Enthusiastic applause but alas no encore, the more surprising in view of the relatively short duration of the programme. Never mind, mustn’t be greedy. The 6th is constructed in conventional four movement style and lasts approximately 25 minutes. Too much, in my opinion, has been made of the fact that Sibelius was studying Palestrina when he wrote it. More telling, I suspect, was that it was rather overshadowed by the fifth symphony being written at the time. Sibelius himself said that it reminded him of snow falling. A sublime, ethereal string orchestra opening followed by woodwind calling. Elegiac, more like a tone poem, with the baton-less Swensen using his hands more like a magician than conductor. The second movement built up the tension and the third was a return to the more plaintive; the final Allegro Molto a return to the brass we know so well. I wanted to rush home and listen to it again and again. A privilege to hear this “Cinderella” of Sibelius symphonies being done by so rightly by a deeply sensitive conductor and orchestra. Finally to the final Sibelius symphony, No 7. A single movement work of a little under 25 minutes, more of a tone poem and originally entitled Fantasia Symphonica No 1, Robert Layton has described it as “completely original in form, subtle in its handling of tempi, individual in its treatment of key and wholly organic in growth”. Moreover ‘New Grove’ describes it as “Sibelius’s most remarkable symphonic achievement”. Hmm. It does grow and deliberately lacks the shape of a symphony. I suppose one should regard it as a musical development, even if one does not always know where it is going. A string opening very much in the tragic genre, with the brass making its presence felt and gradually taking over. Bruckner does brass with forcefulness and aggression, Wagner with foreboding, but Sibelius does brass with soul! The work, much favoured by many, made for an intriguing essay in related sounds and passages conjuring up imaginings of mystical Finnish folklore. l-r: Anna Sheen as Violet, Jemma Lowcock as Judy, & Alice Hoult as Doralee. Dolly, Dolly, Dolly. What is there to say about the undisputed Queen of Country that hasn’t already been said? Other than the fact it’s what I blast during weightlifting 80% of the time (so now if you see me, congrats, you know! ), it’s hard to come up with praise that hasn’t been done to death. I thought I’d get lucky when I got to talk about something Parton-adjacent, but unfortunately for me and very fortunately for everyone else in the audience, the praise vocabulary has a lot of overlap. 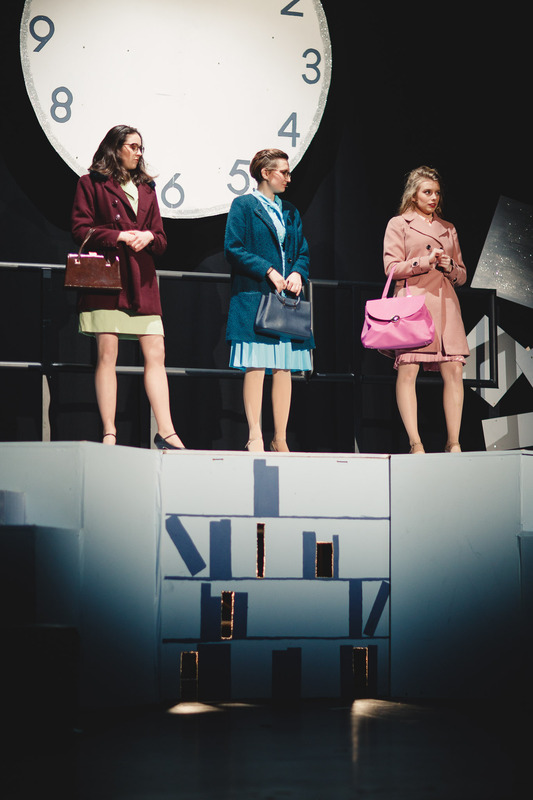 9 to 5 tells the story of Violet (Anna Steen), Judy (Gemma Lowcock) and Doralee (Alice Hoult): three embattled women struggling to stay strong in a world designed to keep them down. That world is typified by their boss, Franklin Heart Jr, neatly summed up as a “sexist, egotistical, lying, hypocritical bigot”. After a chance encounter with the devil’s lettuce, the three heroines find themselves in far deeper than they intended, but with a chance to change both their lives, and the lives of their co-workers, for the better. From the outset, I need to make it clear: this is a damn good show, with damn good performers. If the star rating wasn’t enough to tip you off, Footlights’ production of 9 to 5 is one to be proud of. The lynchpin of that success was the central trio of Hoult, Lowcock, and Steen. It’s not often that I get to see talent on the student stage that would fit seamlessly into a professional production, but then again, it’s also not often that you see not one but three vocalists who can not only sing to character, hit notes right in their centre zone and (as my opera teacher used to say) throw their voices out so hard you could hammer a nail with them. Even better is the obvious talent at play outside the soundtrack: Steen balanced great comedic sensibilities with an unexpectedly genuine reflection of the struggles faced by powerful women; Lowcock threw levels of vulnerability and hidden nerve into what could’ve easily been a cookie-cutter “beaten down protagonist in a musical” role; and Hoult could basically get a job as a Dolly Parton impersonator – sometimes it was genuinely difficult to tell the difference from sound alone. And that’s even more satisfying when supported by a keenly talented secondary cast. Daniel Stansfield’s Franklin is a wonderfully grotesque, gurning gargoyle of a man, whose revelry in his own personal toxicity is almost a treat (almost); Mhairi Goodwin’s fawning office drone Roz was not only a brilliantly half-sympathetic secondary antagonist, but probably had my favourite performance in the entire production (you’ll know it when you see it); and special props go to Brett McCarthy Harropin a stunningly chameleonic performance as both a dancer, and the show’s sleeper comedy MVP, Josh. Honestly, most of this review could just be praise for the acting. Even if you are not mentioned here, please rest assured: I noticed you, and you were glorious. Of course, what’s an actor without blocking? And although certain productions on the Pleasance Stage have erred towards A-Level Drama sensibilities in the past, this is certainly a welcome break. I was unable to find a fully-titled choreographer, but whoever in this production created the movement should be very proud of their work: the dancework has the precision of a watch movement. Every part of the stage had its own novel and interesting motions, fully cohesive to the overall pitch and wave of the beat. Darn good to watch, especially the opening number. To round off the positives, many that there are: this is a musical. Not just a musical, but a Musical. If you’ve watched one or two, you’ll be very familiar with the emotional beats, levels and general plot. But parts of this show felt like I was seeing the familiar tropes for the very first time. When this production gets going and finds its stride, it’s poetry in a big, shiny sequined dress. However, this gem is not without flaws. These seem most glaring behind the scenes: whoever was on sound needs to review their operations. The levels between the band and singers were usually abysmal for the first half of most songs, which makes it feel as if whoever was on script watch was distracted. In between the constant volume switching, and a feedback boom in the first half that could have blown fillings out, it ultimately came off as sloppy and far less than what a production like this should be capable of. Although fixed by due diligence, it was disappointing that such a big feature was handled so poorly. That said, my one large criticism of what I was seeing directly onstage was that the opening number didn’t set my expectations high. I can’t tell if it’s a comparative lack of rehearsal or some mistake on the night, but the all-important 9 to 5 number sounded off key, off time and sluggish for maybe half of the time. Luckily the show recovered soon after, but I distinctly recall being viscerally afraid the rest would be much like it. I wish I could’ve given the show an ‘Outstanding’, but these two issues – mostly the former – marred it enough that the entire experience didn’t reach the heights I knew it could have, given the rest of its parts. However, the above flaws should be fixable, and even if not, I would still recommend this show. 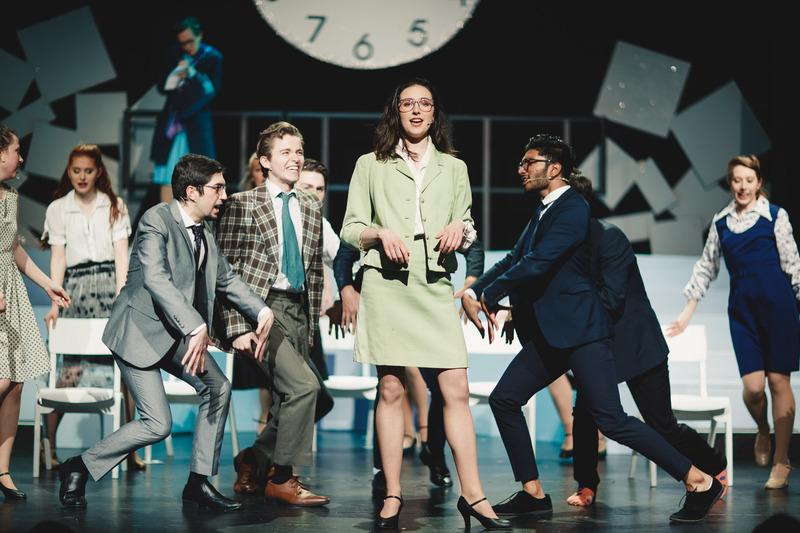 The sheer spectacle of a good musical is really hard both to organise and act in, but the levels of talent at play here are exactly what Edinburgh’s come to expect from the university’s Footlights in recent years. 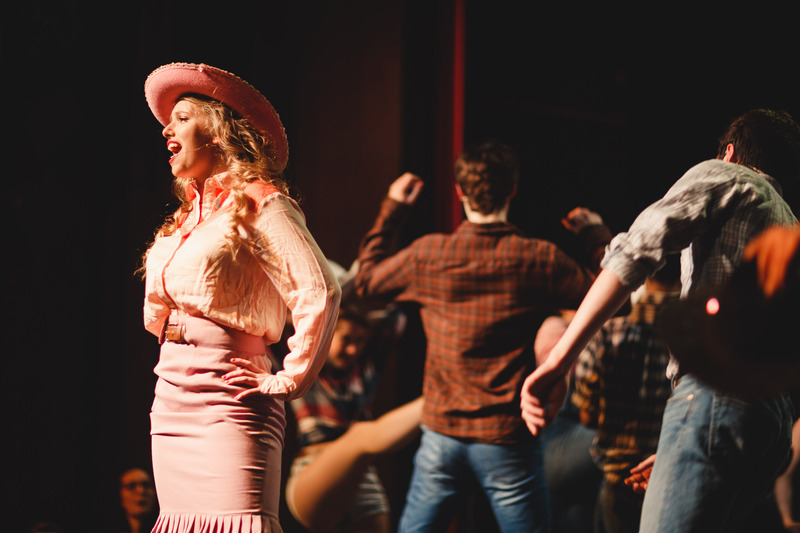 Despite the factors holding it back, 9 to 5 is a credit to the cast and team that have brought it to Pleasance, and it deserves every seat sold. In a world that’s all takin’ and no giving, this production definitely bucks the trend. 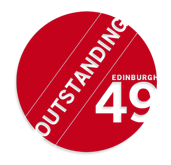 Visit Edinburgh49 at the Pleasance.